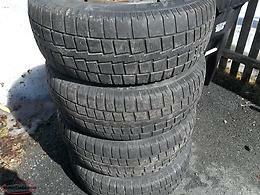 4 225/75r16 tires on painted steel ford rims,will fit f-150, 1999-2004 5 hole. 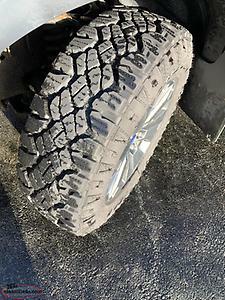 2 firestone destination like new condition, 2 winter studded with some studs missing good thread, willing to trade for something of interest, sell for 200.00. e-mail is the best way to get me, thanks. 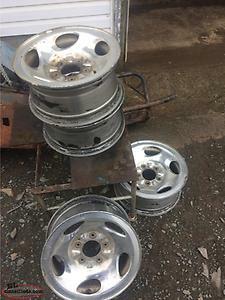 Hi, I'm interested in the 'f-150 tires and rims' posted on NL Classifieds! Please contact me if still available.